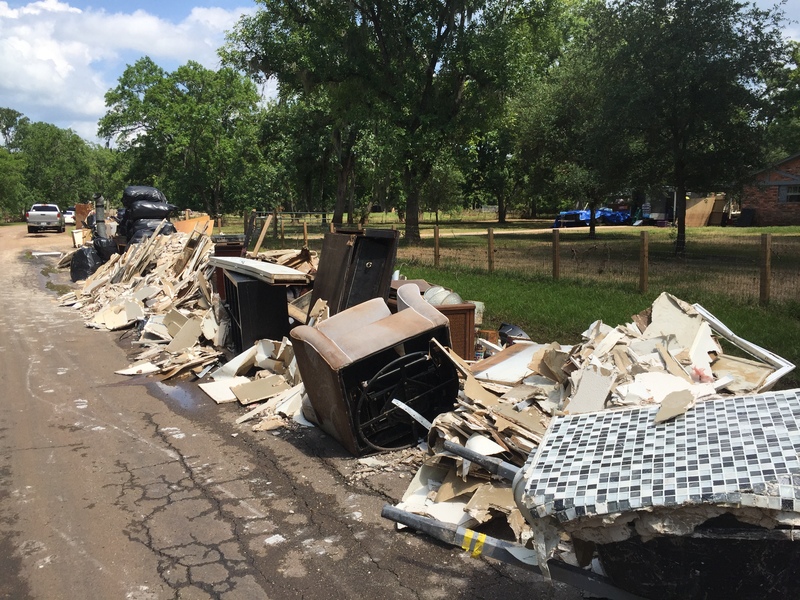 Recent record-setting floods in Texas wreaked havoc throughout the state, leaving in their wake thousands of Texans dealing with millions of dollars in losses. 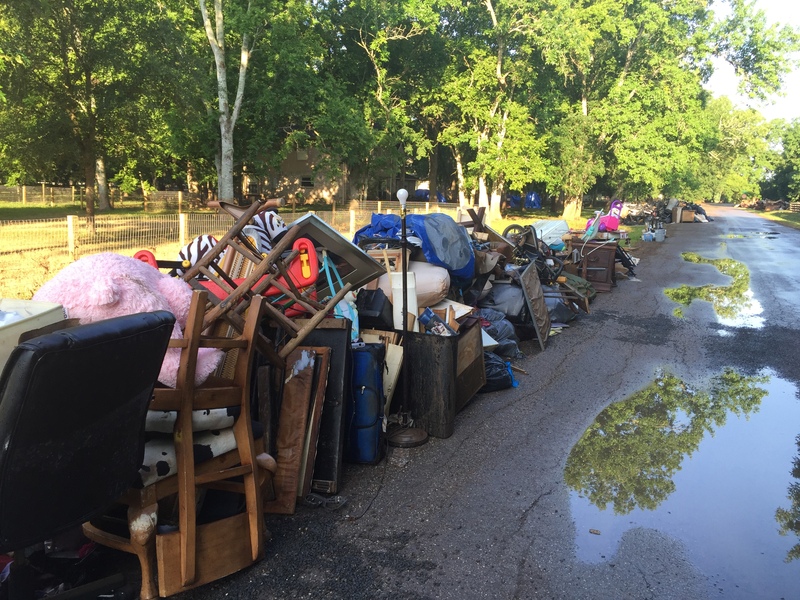 In many cases, homeowners fled rising flood waters with only the possessions they could hastily cram into their cars and trucks. Everything left behind was either washed away or completely destroyed. Over the past weeks, images of destruction, damage, and even deaths have poured into our homes courtesy of the evening news. Weather reports have taken on greater significance, especially in areas where the ground is so saturated that no one dares to even spit on their lawn. The phrase “five-hundred year flood” is now a part of our vocabulary. 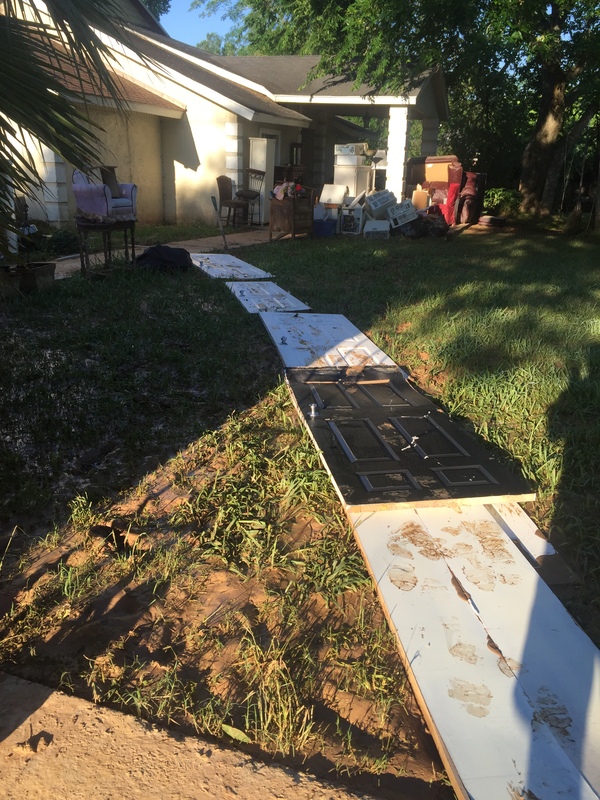 The damage caused by flood waters is heart-breaking. There is no feeling more helpless than watching water levels rise until they cross the threshold into our homes. Once inside, the waters soak and destroy everything in their path. And when they finally recede, they leave behind a deposit of mud and filth and stench — and homeowners who must deal with it all. But, the worst of things often bring out the best in people. That’s certainly the case in regard to the recent flooding in the Lone Star State. 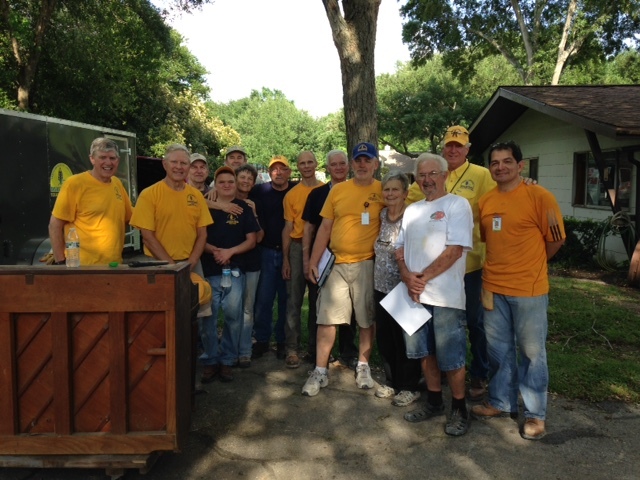 I am proud to serve with my church’s disaster response team that works under the auspices of the Texas Baptist Men (and women, too). We are a team of Texans (born or moved here as fast as they could) helping Texans. 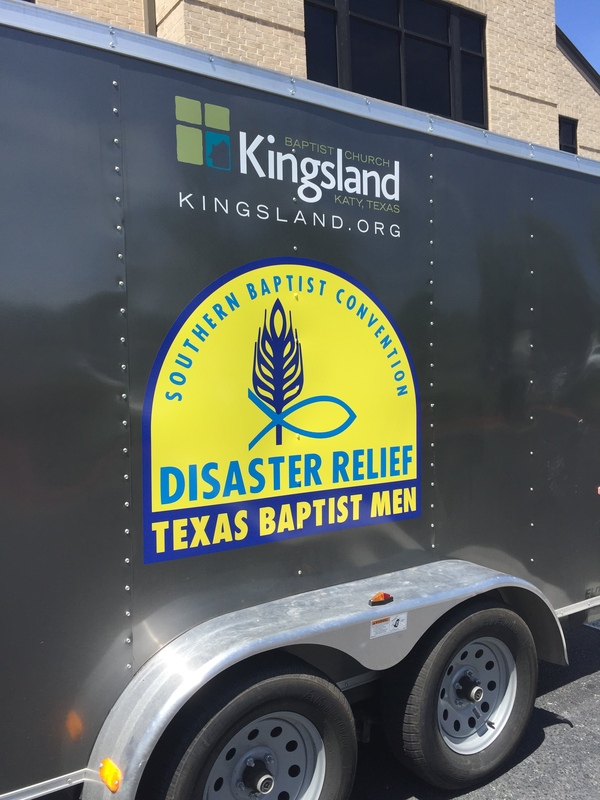 The Texas Baptist Men Disaster Relief Team is one of the most highly regarded disaster relief agencies in the world, and with good reason. They have earned this reputation. This organization is on the governor’s speed dial and can mobilize with little notice. Their teams provide assistance to homeowners who have experienced loss due to floods, fires, hurricanes, tornadoes, and other natural disasters. 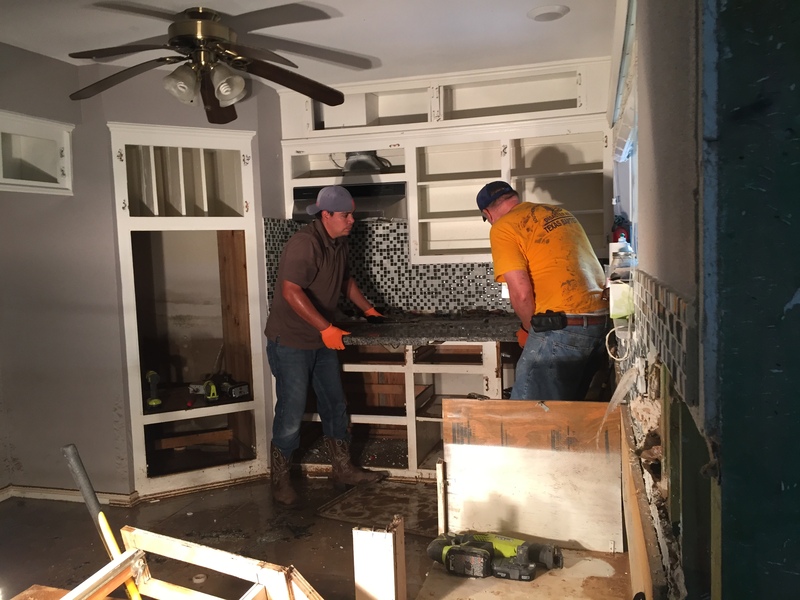 In the case of flooding, teams help homeowners to box up belongings that can be salvaged, clean out mud, and remove damaged sheetrock, insulation, and appliances. The Texas Baptist Men also mobilize feeding units, chainsaw crews, and shower and laundry units. They remain on the scene until the work is done. The only thing they leave behind is hope and a reminder that no one in Texas needs to face tough times alone. I served with our team this past weekend. 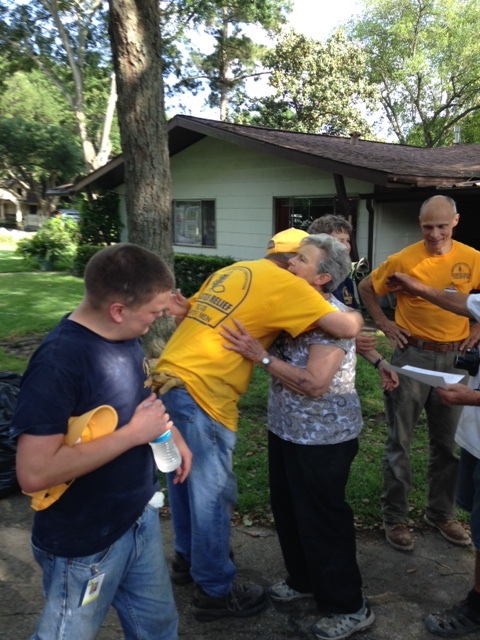 We assisted homeowners in Wallis — a young couple whose home flooded as they expected their first child. While our team was hard at work on their home, the young mother was in labor at the hospital. Knowing that this young family needed to get back home as soon as possible fueled our own labor. 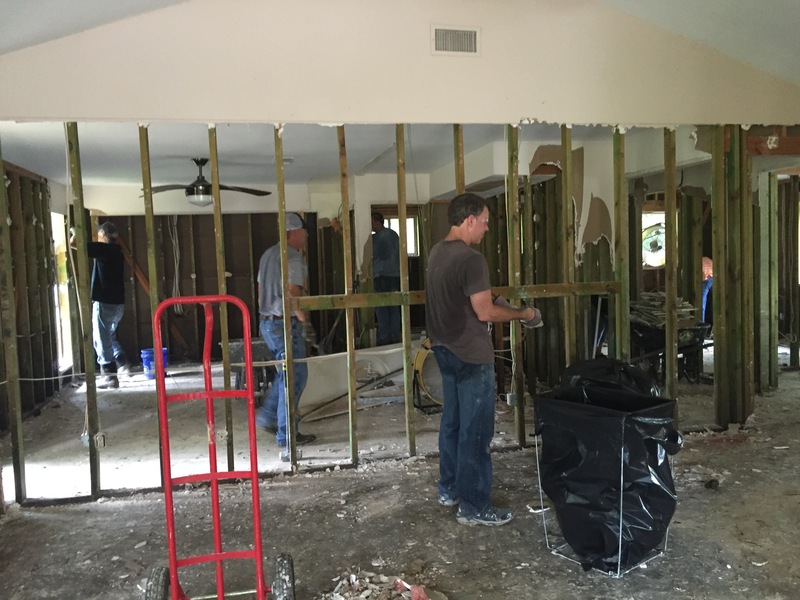 This entry was posted in People and tagged Disaster Relief, Texas Baptist Men. Bookmark the permalink.